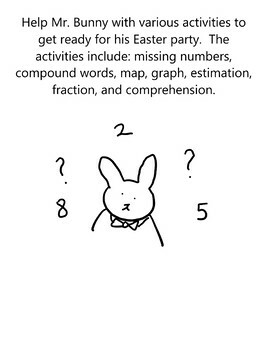 Kids help Mr. Bunny with various activities for his party. 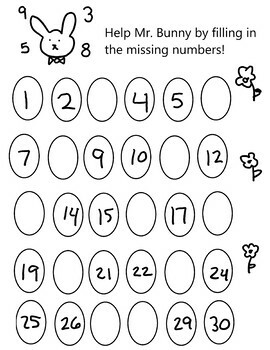 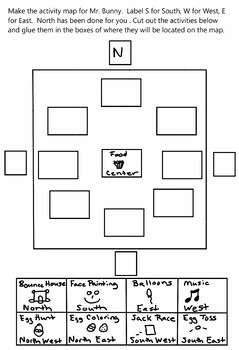 The packet includes 7 pages: missing numbers, compound words, map, graph, estimation, fractions, and comprehension. 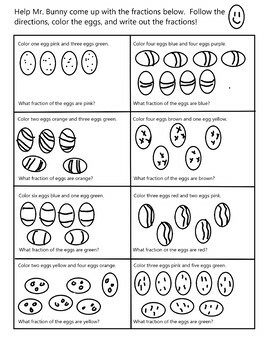 It is a small fun packet for first and second graders in school or that are doing home schooling.